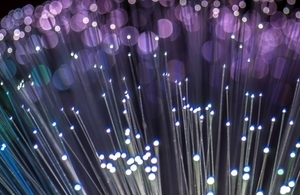 TalkTalk has announced plans to create an independent company to provide full fibre to more than three million homes and businesses in mid-sized towns and cities in the UK. The service provider said it has agreed heads of terms with Infracapital, the infrastructure equity investment arm of M&G Prudential, with Infracapital funding 80% and TalkTalk 20%. TalkTalk said there will be potential equity investment of up to £500 million, enabling total investment of approximately £1.5 billion to fund the fibre-to-the-premises (FTTP) buildout. TalkTalk will be a founding wholesale customer of the new company, providing a minimum volume commitment. The move follows a successful full fibre trial by TalkTalk in York. This network currently reaches 14,000 homes and is in the process of being extended to 54,000. At the same time TalkTallk said it plans to raise up to £200 million to strengthen its balance sheet, support customer growth and invest in its long-term FTTP plans. “It’s 12 months since I announced my intention to take a more active role in the management of TalkTalk,” said Charles Dunstone, TalkTalk’s executive chairman. The news came as TalkTalk reported its third quarter results in which headline group revenue was up 1% year-on-year to £338 million and it added a total of 37,000 customers. However, the firm revised down its full-year EBITDA guidance to between £230 and £245 million and said it will temporarily reduce its annual dividend to fund its growth and fibre investment. “Not a bad set of results. The new management is doing a good job of turning the business around. Net adds are up is up and the company is now the largest provider of wholesale broadband. Of course the biggest news is the UK fibre broadband rollout. This is great for UK plc and the drive to reach the masses but this will put a drain on TalkTalk’s resources. Therefore, expect further initiatives to cut costs,” said Paolo Pescatore, VP, multiplay and media, CCS Insight, commenting on the results. The company’s shareprice dropped some 10% following this morning’s results announcement.